Despite the town crying out for business, local councillors have apparently refused to allow any let up in Ballina’s on-street car parking charges even during Christmas. The councillors reportedly took the decision during a meeting of this week’s Municipal District group. 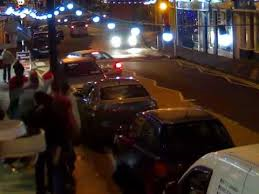 Though the action may well cause many shoppers to switch their loyalty from Ballina to other towns in protest, a member of the Municipal body is said to have commented that having no charges for on-street parking could lead to problems during the busy shopping times. What that means isn’t apparent, but, on the face of it, it looks that Christmas shoppers parking without paying will face the full rigours of the prevailing penalty laws. Shoppers using public car parks will also have to cough up for parking up to 2pm. Charges to park on streets of towns where traders are appealing for people to shop is widely resented, with many questioning why councillors are strongly in favour of the tax when in numerous cases it is considered a significant contributor to job losses and town centre decline in many locations. Locations in County Sligo where customers are able to park on streets free of charge not only at Christmas but also throughout the year include Enniscrone, Dromore West, Tubbercurry and Ballymote. All have substantial, customer welcoming retail and other operations with prices on a par with, and in some instances lower than those of major multiples. Shopping locally also most importantly enables smaller towns to survive, and to provide valuable much needed local employment.